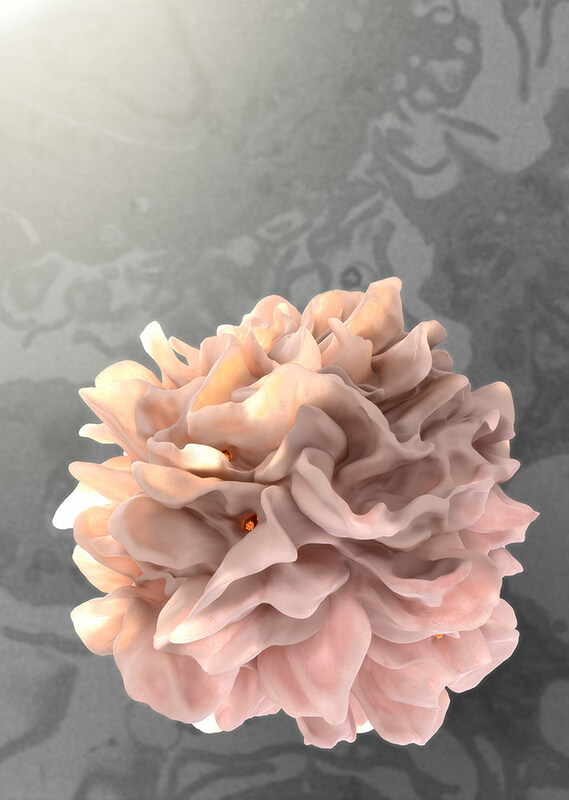 Dendritic cell modeled in Mudbox, Zbrush and 3dsMax based on cell reconstruction below. Most dendritic cells shown in text books show a cell body with finger-like appendages, which is what the cells looks like in a cross-section. 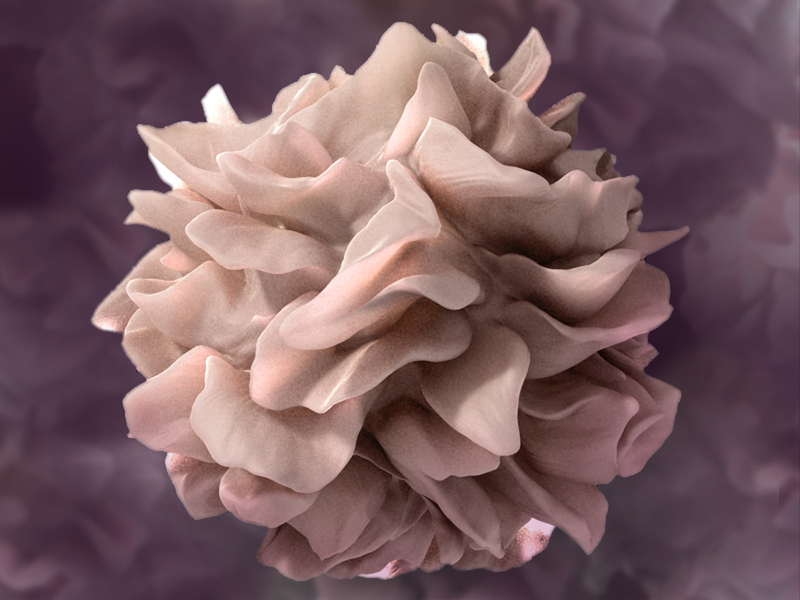 If it could be seen in 3D the dendritic cell would probably look more this. 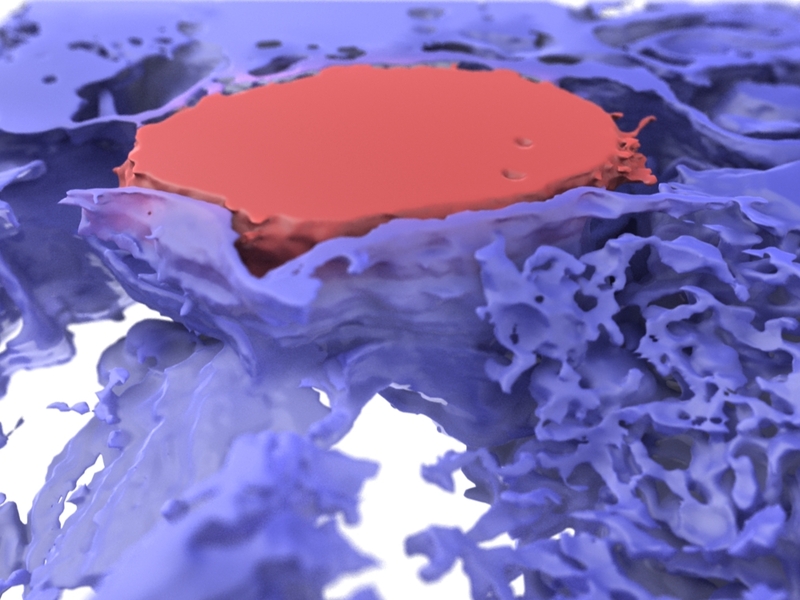 The concept for this model came from observations made by studying how the blue dendritic cell in the image below extend wide sheets of membrane to encase the infected T-cell. From work at the US National Library of Medicine and the National Cancer Institute. This reconstructed block from Ion-Abrasion SEM or Focused Ion Beam SEM of blue dendritic cells and red T-cell reveals much about how these cells interact.